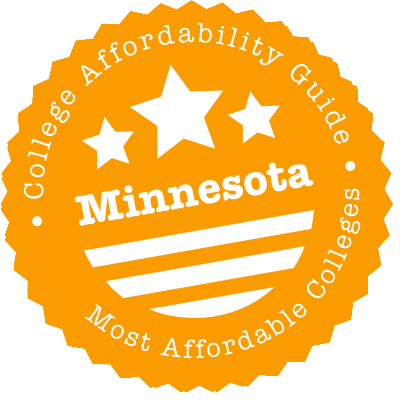 Scroll down to see our top-ranked colleges in Minnesota, loans and scholarships for Minnesota students, and advice on how to save money going to college in Minnesota. Located on 244 acres of land overlooking Lake Superior, the University of Minnesota Duluth has over 50 interconnected buildings and offers 14 bachelor degrees in 85 majors and 60 minors. Merit-based scholarships include the following: Presidential Scholarship (up to $5,000 per year for four-years), Chancellor's Scholarship (up to $3,000 per year for four-years), UMD Scholarship (up to $1,000 - $1,500 per year for two years) and the President's Distinguished Student Scholarship ($1,000 - $2,000 per year for four-years). Incoming freshmen who plan to pursue a degree in chemistry or biochemistry and who are eligible for Minnesota resident tuition may be considered for the Swenson Family Foundation Scholarship ($14,000 per year for four-years). The University of Minnesota in the twin cities of Minneapolis and St. Paul has 32,300 undergraduates calling its 1,204-acre campus home. Students with strong academic backgrounds who belong to a minority group may be considered for the Puckett Scholars Program ($4,000 per year) as well as for the Jackie Robinson Foundation Scholarship Program ($7,500 per year). International students may qualify for the Gold Global Excellence Scholarship, which covers the difference between resident and non-resident tuition rates each year for four-years. Students with a demonstrable commitment to volunteerism may be eligible for the Buuck Family Scholarship ($5,000 per year), while those with strong leadership skills and excellent academic record can apply for the Olseth Family Scholarship ($23,000 over four-years). The 1,800 students of the University of Minnesota in Crookston have the choice of pursuing more than 25 applied-science undergraduate degree programs. Incoming freshmen may be eligible for the merit-based Presidential Scholarships ($5,000 annually) and the Academic Scholarships ($500 to $2,000 annually). Transfer students may be considered for the following programs: the Transfer Presidential Scholarship ($2,000 annually), and the Transfer Chancellor Scholarship and Transfer Distinguished Scholarship, both of which award $1,500 each annually. Students of Native American heritage may be eligible for the Ethel Curry American Indian Scholarship ($2,000 annually) or the American Indian Education (Salt Lands) Scholarship ($1,000 annually). Graduates of Crookston High School or other area high schools with good academic records can apply for the Mitch Nielsen Scholarship ($4,000). With 200 academic programs, 60 graduate degrees and study abroad opportunities on six continents to choose from, the students of St. Cloud State University graduate from college prepared for life, work and the demands of the new millennium. The Presidential Scholarship supports academically gifted freshmen with awards ranging from $750 to $5,000 per year. Entering freshmen who have overcome socio-economic obstacles or are the first in their family to go to college may be eligible for the Lula Mische Freshmen Scholarship. Students who come from under-represented groups and will enhance the diversity of the university are automatically considered for the Cultural Diversity Scholarships. When awarded the Non-Resident Tuition Scholarship, qualified transfer students pay only in-state tuition. Established in 1858 as a normal school, Winona State University is the oldest member of the Minnesota State Colleges and Universities System, and now offers 80 undergraduate, graduate, licensure, pre-professional and doctorate degrees. American Indians or native Alaskan students pursuing a degree in the health professions may be eligible for the Indian Health Service Scholarship Program. Admitted freshmen who are also aspiring journalists may be considered for the RTDNA (Radio, Television and Digital News Association) Ed Bradley Broadcast Journalism Scholarship ($10,000). Beginning students with stellar academic achievements are considered for the Academic Honors Scholarship - Inclusion & Diversity award ($2,000 per year). The Alliss scholarship supports students with demonstrable financial need and who show academic potential ($500 to $1,100 per year). Founded in 1868, Minnesota State University- Mankato is the second oldest school in the Minnesota State Colleges and Universities System. Of all full-time beginning undergraduates at MSU Mankato, 85% receive financial aid and 23% receive institutional grants or scholarships. Incoming freshmen and transfer students are automatically considered for the merit-based Maverick Scholarship, which ranges from $1,000 to $2,500 per year depending on GPA and ACT score. Other scholarship opportunities available to incoming students include the four-year, $5,000 per year Presidential Scholar Award, the Meredith Scholar Award for students pursuing a career in mathematics or natural sciences and the one-year, $2,500 Graham Chemistry Scholarship. More than 70 percent of the 2,435 students enrolled at Gustavus Adolphus College (2014) received need-based financial assistance. The average first-year financial aid package for the same year was $34,947. Qualified freshmen are automatically considered for the following merit-based scholarships: Dean's Scholarship ($13,000-$22,000 per year), President's Scholarship ($24,500 per year), and the National Merit College-Sponsored Scholarship ($7,500). The college awards up to three full tuition scholarships to National Merit finalists. Students who belong to under-represented groups are considered for the Paul L. Rucker Scholarships ($1,000-$5,000 per year). Talent scholarships include the Jussi Bjorling Music Scholarships ($2,000-$8,000 per year), Evelyn Anderson Theater and Dance Scholarships ($500-$2,000 per year), Gustavus Art Scholarships ($500-$2,000 per year), and the Gustavus Speech Scholarships ($1,000-$2,000 per year). Bethany Lutheran College started as a small women's college more than a century ago, but it has been co-educational for decades. The college offers 24 majors and eight pre-professional programs, and students can also gain licensure as a secondary school teacher. The college offers a wide range of scholarships, including some that are automatically awarded to all qualifying students. The Presidential Scholarship is awarded to students with the highest GPA and ACT scores, and it has an annual value of $14,000. The other three levels of scholarships award $10,000 to $13,000, depending upon GPA and ACT scores. These scholarships can be renewed annually. Additional scholarships are available for activities such as music and theater. Located on Lake Bemidji, Bemidji State University in Bemidji, Minnesota was named one of the top universities in the Midwest by US News & World Report. BSU makes tuition affordable by offering in-state reciprocity tuition to all qualified applicants. Of all Bemidji State undergraduate students, 56% receive grant or scholarship aid from institutional, federal, state, local or private sources, and Pell Grants are offered to 36% of undergraduates. Institutional scholarships are offered to more than 30% of incoming students, with close to $2.3 million in merit scholarships awarded each year. The school considers all incoming freshman who submit their application materials before May 1 for five automatic merit-based scholarships. Minnesota State University Moorhead offers 74 majors, including some unusual options such as East Asian studies or medical physics, but the most popular majors are education and business administration. The university enjoys a status as one of the most affordable state schools in the Minnesota system, and the banded tuition policy, which allows students to take up to 19 credits per semester for the cost of 12, helps keep students' costs down. The college awards more than $3.3 million in scholarships annually, and incoming students are automatically screened to see if they qualify. Overall, about three-quarters of students receive grants and scholarships averaging more than $3,200. An online job board helps students find employment off campus. Minnesota West Community and Technical College is a technical and community college located in southwestern Minnesota with five campuses in Granite Falls, Pipestone, Worthington, Canby, and Jackson. Minnesota West Community and Technical College has many options for students who need financial assistance. The Minnesota West Foundation awards many scholarships to eligible students, and Minnesota West has many student employment positions for those who wish to pursue the Federal Work Study program. Minnesota West Community and Technical College has transfer agreements with many universities and colleges, which will make the transfer process smoother for those who wish to pursue bachelor degrees. With a job placement rate that averages higher than 95%, Alexandria Technical and Community College in Alexandria, Minnesota is a popular choice among Minnesotan students pursuing a certificate or two-year degree. In addition to affordable tuition, Alexandria Technical and Community College offers institutional grants or scholarships to 24% of full-time beginning students. The Federal Pell Grant is made available to 31% of all students, and the Minnesota State Grant is also available to Minnesota residents. The Alexandria Technical and Community College Foundation awards over $375,000 in scholarships each year, and eligible students have the opportunity to participate in the Federal Work-Study program, which offers part-time employment at participating nonprofit organizations. Incoming first-year students with outstanding academic credentials are considered for the following merit-based scholarship programs: Trustees Scholarship ($20,000-$22,000/year), President's Scholarship ($15,500-$19,000/year), and the Dean's Scholarship ($7,000-$15,000/year). Art, music, and theater scholarships are available (up to $4,000 each per year), as well as intercultural LEAD fellowships ($10,000/year). Incoming freshmen who graduated from Catholic high schools outside Minnesota may be eligible for the Catholic High School Scholarship ($4,000 per year). Qualified students majoring in chemistry can apply for the FoCus Scholarship, while female students majoring in math, physics, computer science, or engineering can apply for the MapCores program. Both offer $21,000 each per year. Students from low-income families who have completed a college access program are eligible for the Benedictine Scholarship ($5,000/year). Metropolitan State University focuses on post-traditional learners, or students who are older than traditional college students, including people who attend part-time, hold down jobs, and have already earned some credits from other schools. Tuition is about half of what other state universities in Minnesota charge. Metro State administers needs-based state and federal grant programs, such as Pell Grants and the Minnesota State Grant. Work-study programs are also available on campus, as are jobs with no eligibility requirements. The university also participates in TuitionMatch-MN, a program that matches every dollar saved with $3 for qualifying Minnesota residents over the age of 18. This is a two-year program worth nearly $3,000. Ridgewater College offers college transfer and career associate degrees in more than 100 programs at campuses in Willmar and Hutchinson, Minnesota. Need-based grants available to students include federal Pell Grants, Minnesota State Grants, and Alliss Two-Year Opportunity Grants ($350 to $1,100 per year). Minnesota veterans may qualify for up to $1,000 per semester under the Minnesota GI Bill. The Bremer Finish Line Scholarship ($3,200) is open to low-income, disabled, first-generation and minority students who are enrolled in TRIO or Student Success programs. The college also offers a variety of foundation and privately funded scholarships ($300 to $3,000) with more than $250,000 disbursed annually. Work-study programs are available at both campuses, and the college has a tuition payment plan. St. Cloud Technical and Community College serves more than 6,000 students with career and transfer credit programs in areas including liberal arts, science, health sciences, business management, and education. The college awarded more than $8 million in Pell Grants in 2014, with 2,673 students receiving an average of $3,111 each. That same year, 2,130 students received an average annual award of $797 in Minnesota State Grants. The college also has a work-study program. The SCTCC Foundation awarded scholarships to 350 students during the 2014-15 academic year. Foundation scholarship amounts vary, and criteria may include program of study, leadership, community involvement, and/or academic achievement. Central Lakes College was created by the merger of a liberal arts college and a technical school, and it has both technical and liberal arts programs. The college is known for its diesel and heavy equipment program which has its own 30,000-square-foot service center. Students who want to begin work toward a four-year degree can follow the Minnesota transfer curriculum in their associate degree program and be assured all their general education credits will transfer to any other state school, meaning no worries about having to retake a class that didn't transfer. About 70 percent of CLC students receive some sort of financial aid annually, including grants, loans, and work-study. Northland Community and Technical College offers career and college transfer programs from campuses in East Grand Forks and Thief River Falls, Minnesota, and two satellite sites. In the 2013-14 academic year, the college awarded more than $21 million in financial aid. About 34 percent of students received gift aid totaling $7 million, and 64 percent of students received loans totaling $13.5 million. About two percent of students were in the work-study program. The NCTC Foundation awards more than $150,000 in scholarships annually. Foundation scholarships are awarded based on a variety of criteria, including the program a student is enrolled in, academic performance, and service to others.